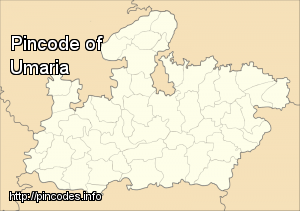 Umaria is a town in the Umaria district of the Shahdol Division of Madhya Pradesh, India. Umaria is located at 23.42°N 78.63°E﻿ / 23.42; 78.63 and has an average elevation of 538�metres (1765�feet). As of 2001 India census, Umaria had a population of 26,837. Males constitute 53% of the population and females 47%. Umaria has an average literacy rate of 69%, higher than the national average of 59.5%: male literacy is 78%, and female literacy is 59%. In Umaria, 14% of the population is under 6 years of age. Newly-appointed Umaria District Collector Krishna Gopal Tiwari, who is visually impaired, says one does not need eyes to judge everything.